We officially passed the halfway point/month 5 of the deployment. I sort of sailed by it in a sea of busyness and wondering if April would ever end. But yay! Another major milestone! Meanwhile, I hit a personal milestone – 10 inches lost overall! That was last week. I’ve sort of plateaued this week, but there’s always next week. I have a plan. I also got to go home for a few days last month, and that was pretty freaking awesome. I miss home so much. It was fantastic. I got to see some family and friends, and generally relax and not think about stupid things and stupid people. I got to visit the Omniplex (Science Museum) with my friend Brianna and her kiddos, hit Bricktown with my Brother and Sister (I’m the not-blonde one), and even got to swing by and see my cousin Michelle (you’ll be hearing more about her soon!) Man, I miss Oklahoma. Speaking of Oklahoma, I also become a contributor to an Oklahoma-based faith-centered website, Word Slingers. I’m really enjoying the challenge and the community. It’s still a brand-new site, so I highly encourage you to jump over and check it out. I have a couple of very talented friends who also contribute. 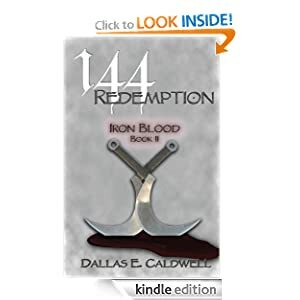 I was fortunate enough to be part of the proofing process for 144:Wrath, the first installment of the 144 books. 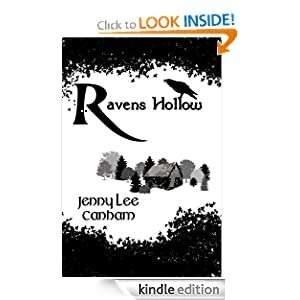 I was very quick to download 144:Redemption to find out how the story ends.And I’m not gonna lie, I’ve been waiting for Raven’s Hollow to come out for, like, 5 years (or however long since we were in class together and she began the first draft). I am SUPER excited to get started on that next! I highly encourage you to check out both of them! Meanwhile, I also…got a job. Like, outside my home. I thought it would be a good idea to help us save up some extra money/knock out debt faster, and it is that. It’s also a really big stretching experience, but that’s good I guess. Right about the time I started really feeling comfortable in this deployment, it’s like God decided I needed a curveball to keep me on my toes. Which this job certainly does. I do intend to be vague about what and where the job actually is. It involves being around minors and sensitive information, so I’ll probably never really go into too much detail here on the blog. Sorry if that’s a problem for anyone. Meanwhile, when I do find a few minutes of personal down time, I’ve restarted scrapbooking. Just began the 2010 album. It’s really exciting. I miss scrapbooking. I miss our scrapbooking club we had last year. Before everyone moved. Doom on you. Not really. But seriously. But not. So now basically it’s just me sitting at my table watching old movies, but that’s okay. I still enjoy it and it gives me a creative outlet since I haven’t had much time to write lately (as you know). In conjunction with that, I took the plunge a couple of months ago and became a Creative Memories consultant. And that’s life for us in May. How are things with you? Ooh, I remember Creative Memories from high school! My mom loves them! Creative Memories!! I hadn't heard of them until a few years ago, but I definitely fell in love with their stuff. I don't think I scrapbook nearly enough anymore...but I don't exactly have a ton of free time anymore either! Yay for the job! I thought I noticed that you got a job. I'm sure that's helping time fly right by for you. :) Glad you're able to stay busy and do some things for yourself too. I know you've been super busy, but I gotta say, I've missed you!!! Glad you hit the halfway point! Stampin Up but I bought too much of it myself lol. I love updates like this! Sounds like you have many wonderful things keeping you busy - all healthy and happy. That is so wonderful!